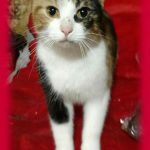 Twinkles was taken in as an un spayed stray. She was Spayed and adopted! We were adopted! 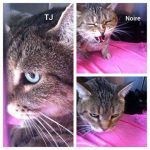 TJ and Noire's owner left in the middle of the night and left these 2 boys behind. They have now been adopted! 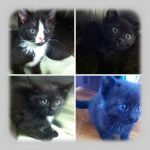 Mary, Mia, Marcy and Midnight were kittens surrendered to Fixed Fur Life. 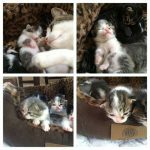 All were adopted! Catalina was a pregnant stray we took in. Babies were all been adopted. New owners pre paid Spay neuters. 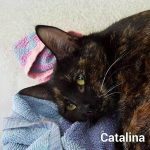 Catalina was then Spayed and adopted! 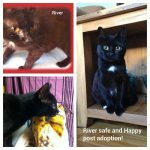 River came to Fixed Fur Life after being found in a ditch. Cold, emaciated, very pregnant and most astounding of all blind. She came to us and shortly after as a result of her condition delivered stillborn babies. After many months of intensive care she developed into a beautiful well adjusted girl. She was Spayed and Adopted! 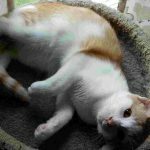 Monty was taken in as a un neutered stray. He was neutered and shortly after adopted! Lucy was Spayed and adopted! 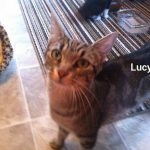 Lucy came to Fixed Fur Life as a stray who had had her kittens outdoors. She will be Spayed prior to adoption. We were adopted together! 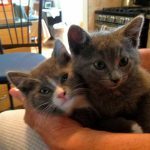 Boots and Scout came to Fixed Fur Life as wee babies after their mom was hit and killed by a car. They lived for several weeks outdoors taking care of each other. It took a bit of socializing when they came to us but they eventually blossomed into friendly well adjusted young men! 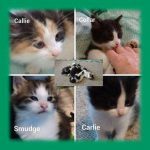 Caramel and Toffee were surrendered with 7 other siblings as owner could not care for. Infested with fleas and worms and extremely shy. After weeks of socializing and treatment of infestations they morphed into sweet little beings. 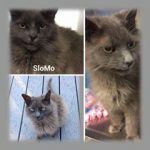 It was clear they were a bonded pair so they were adopted out together! Gizmo and her babies were an owner surrender. Treated for a severe infestation of fleas, worms. 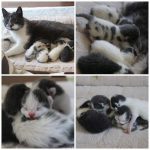 They were all vaccinated and adopted. Gizmo the mother was spayed prior to adoption and all homes for the kittens pre paid Spay Neuters! This beautiful girl was a pregnant stray. Into foster care she went. Kittens weaned and have been adopted. 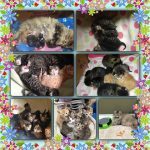 Spay/neuters pre paid with adoption. Mom has been spayed and adopted as well. Maisey wandered as a stray for quite some time at CFB Trenton. Days after arriving she delivered these beautiful babies. All were adopted. Maise was also spayed and adopted. No your eyes do not deceive you! 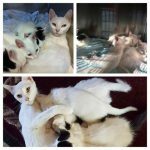 Holly came to Fixed Fur Life as a pregnant stray. 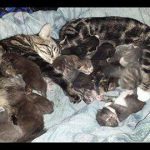 She delivered 7 gorgeous babies. 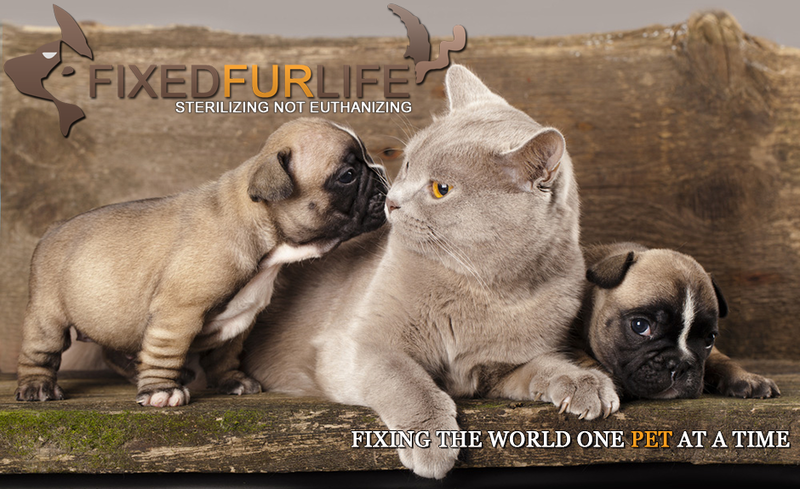 Once weaned babies were adopted (Spay neuters pre Paid). Holly was Spayed and adopted as well! 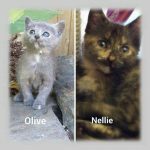 Olive and Nellies mom was a pregnant stray. 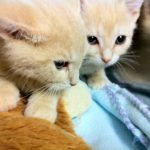 Momma was Spayed and these 2 little angels came to Fixed Fur Life. They were socialized and adopted! Teddy and Tootsies mom was a pregnant stray. They came to us and required a bit of socialization. They came alive with lots of love and cuddles. They have now gone on to their new home! Slo Mo came to with a broken jaw. Surgery was done to repair and after 6 weeks of rehabilitation he went on to his new home! 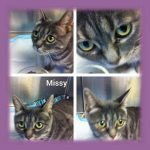 Missy came to Fixed Fur Life with her kittens. Kittens have been weaned and adopted. Missy was Spayed and has now been adopted! 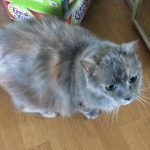 Sheba came to Fixed Fur Life as a Stray. She was Spayed by FFL and has now been Adopted!